You can choose play this game in full screen mode or window mode in setting dialog. The game includes Classic Mode and Easy Mode. Classic mode is for players familiar with casual games. Easy mode is for playing without limits. The easiest way to earn stars. This game is a time management or resource management game, you need to collect foods, woods, stones and crystals. The lvl. 1 farm can give you 2 foods every turn. You can upgrade it to lvl.2 which will give you 4 foods. Wheat seedings can give you 2 foods every turn. The lvl. 1 sawmill will give 2 woods every turn, you can also upgrade it in some levels. The lvl. 1 quarry will give 2 stones every turn, you can also upgrade it in some levels. You can exchange other resources in the marketplace. Use horses to move around faster! Use the build bonus to speed up the worker's job. Use the time bonus to stop the time's elapse for a while. First-time ruler: Beat 5 levels with 3 stars. Experienced ruler: Beat 10 levels with 3 stars. Hailed ruler of 1 continent: Beat 20 levels with 3 stars. Hailed ruler of 2 continents: Beat 40 levels with 3 stars. Hailed ruler of 3 continents: Beat 60 levels with 3 stars. Hailed ruler of 4 continents: Beat 80 levels with 3 stars. Ideal ruler of the Kingdom: Beat 100 levels with 3 stars. Rebuilder: Help repair all settlements after natural disasters. 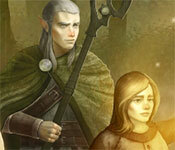 Pilgrim: Help all elf villages find ancient altars. Tamer: Stop the disasters in gnome caves at the source. Defender: Defeat all pirates in the kingdom. Friend of the griffons: Help all griffons return to the kingdom. Kobold tamer: Tame all kobolds in the Kingdom. Respected ruler: Help the princess return her former self. Architect: Fix the bridge and move on to the Elf Forest. Key-keeper: Open the gates to Gnome Caves. Miner: Make it to the Azure Shores by tunnel. Sailor: Sail the archipelago and dock in the Land of the Wizards. Leader: Use your royal will. Hero: Earn all possible trophies in Royal Roads. Sign-up to get informed when the Royal Roads , Guides and Tips series has new game released with BD Studio Games' FREE bi-weekly newsletter.